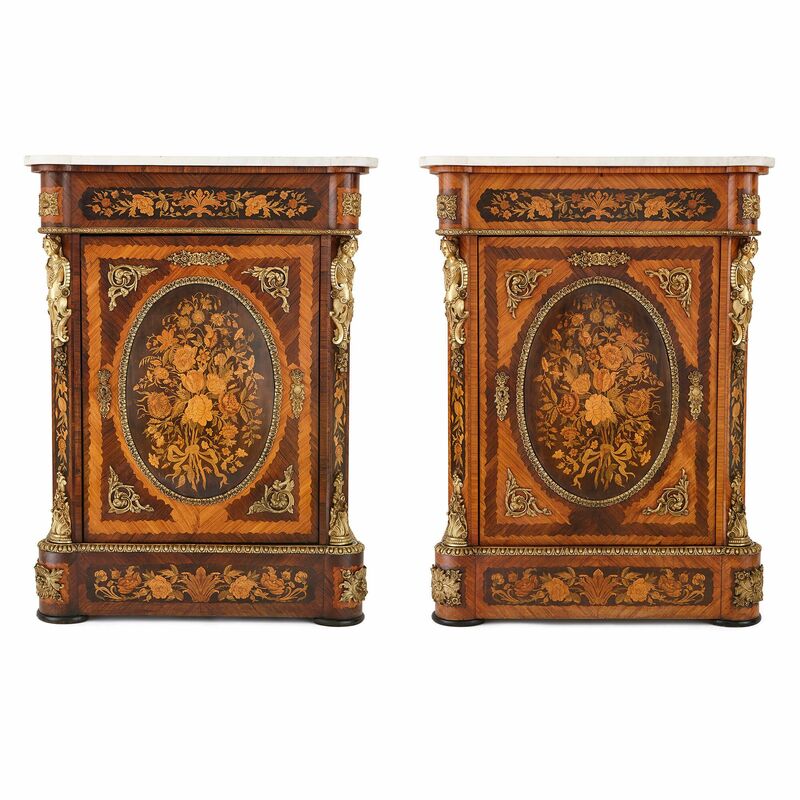 These beautiful 19th Century side cabinets are exquisitely-crafted pieces of antique furniture, displaying intricate floral marquetry work throughout. 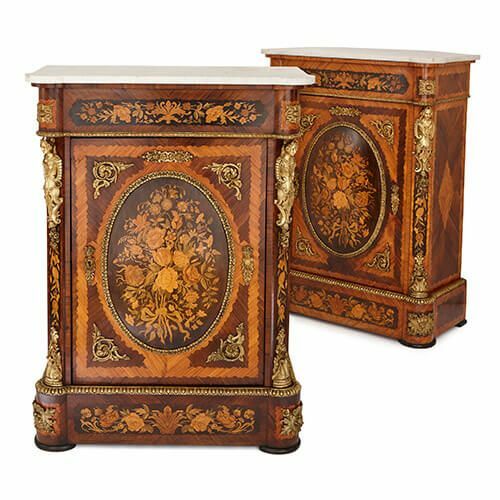 These wonderful Belle Epoque era cabinets have an elegance and a warmth which will make them suitable for a wide range of interior settings, whether traditional or contemporary. 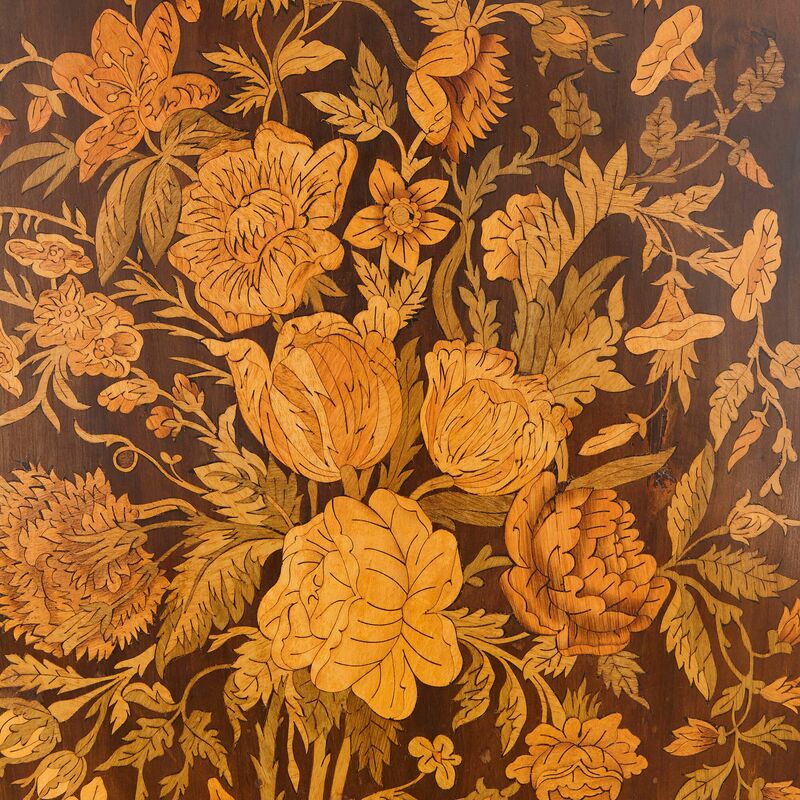 Each one is decorated throughout with intricate marquetry, or inlay, decorations which take the form of flowers and foliage and have been completed in a wide variety of differently-coloured and textured woods. 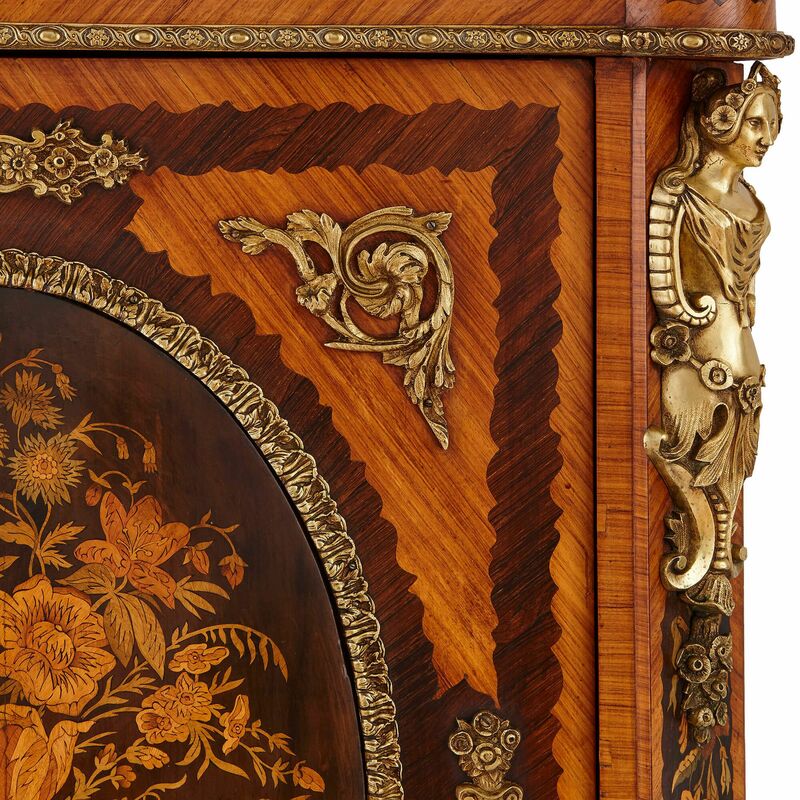 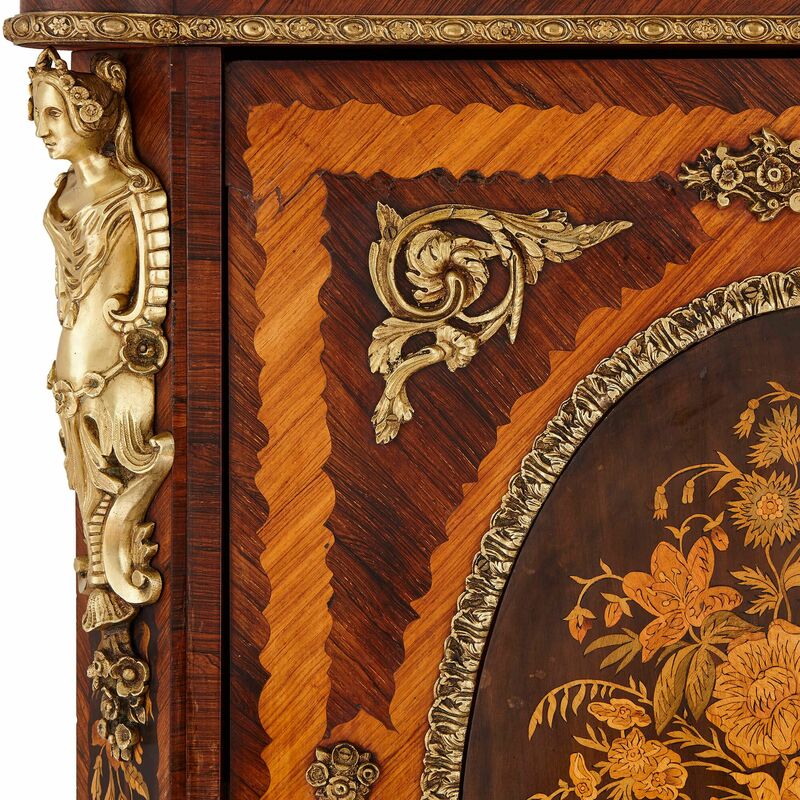 The cabinets each have a central front door, which feature a particularly impressive oval marquetry plaque showing a bountiful bouquet of flowers, framed in gilt bronze and mounted around its edges with gilt bronze scrolling foliage. 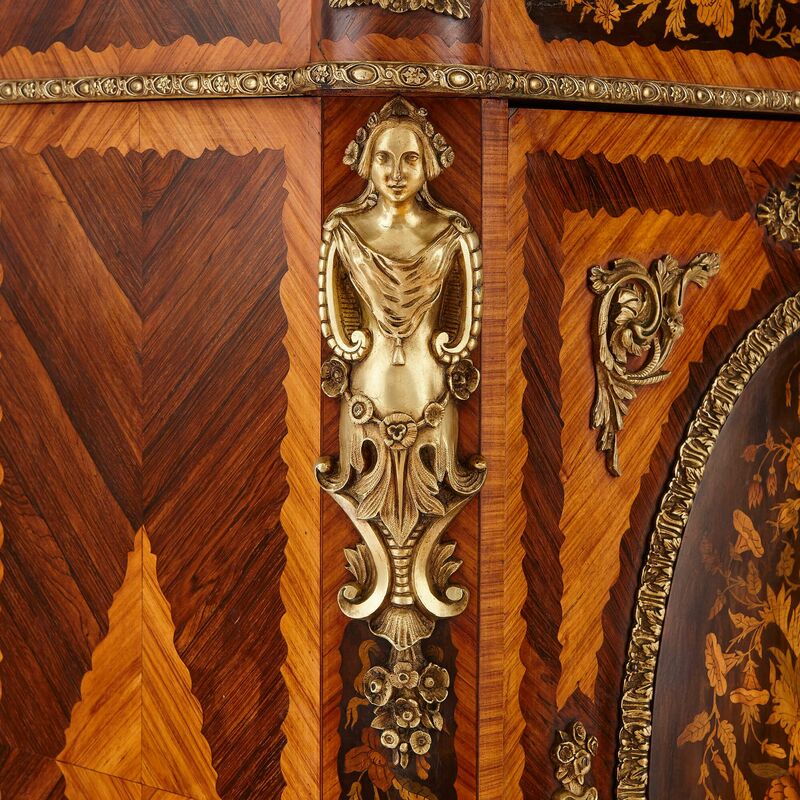 Above and below the door there are further inlay panels showing flowers, and there are exquisite ormolu mounts along the edges of the cabinet, showing female figures together with ormolu scrolls and rocailles. 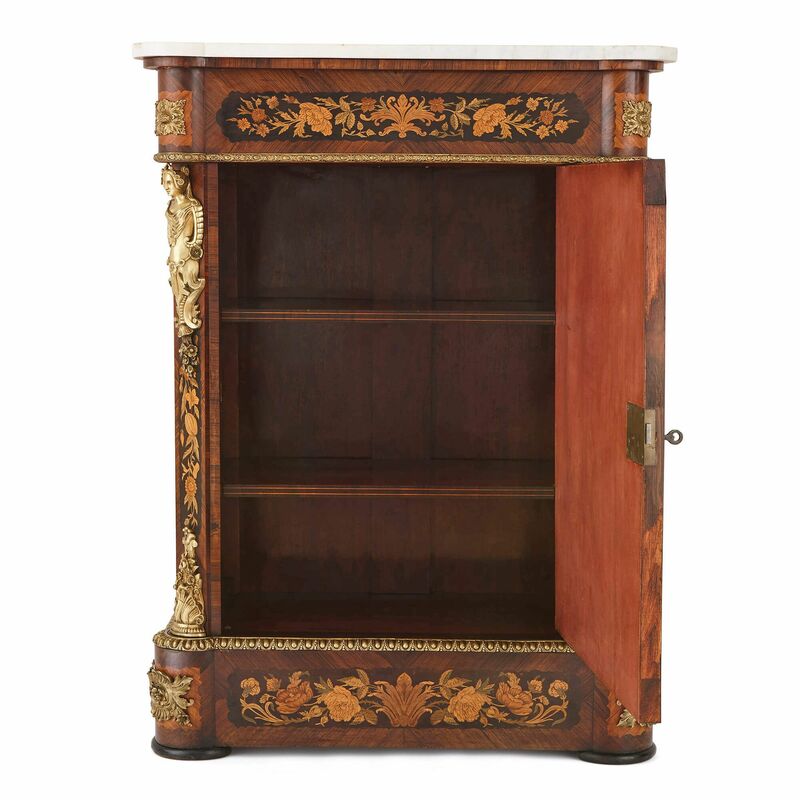 Each cabinet is topped with white veined marble, and each one also contains two inner shelves.